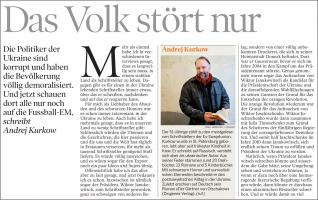 "Cyril Horiszny received an Order from the Danylo Halytsky Fondation, for his work as a promoter of Ukrainian culture". TV report on TRK Brody (Ukraine), February 2016. "What did a French Historian do in Brody ?" TV program "The artistic palette" (Ukraine), December 2015. "Cyril Horiszny - a Publisher, a Photographer, a Historian". La Semaine du Rousillon (France), June 2015. The Correspondent of Halychyna (Ukraine), March 2015. L'ami hebdo (France), October 2014. France Info (France), February 2014. From March 14 to March 23. Presentation of pictures from the collections "The Ukrainians - Between East and West". 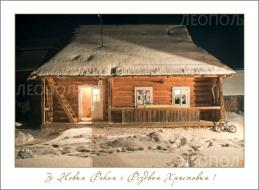 of the Carpathians", "The Ukrainians-Between East and West". Ukraine, Kyiv. From April 14 to April 28, 2015. 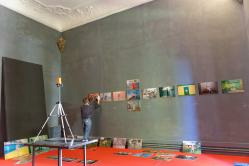 Group exhibition "Wine and Vineyards" (photo and painting), in the framework of the "French Spring" Festival. Opening - April 14 at 4 p.m.
House of Metropolitan, museum of the National Preserve "Sophia of Kiev", 24 Volodymyrska Street. France, Avignon. From October 4 to October 25, 2014. Presentation of pictures from the collections "Hutsuls - People of the Carpathians" & "The Ukrainians - Between East and West"
France, Avignon. October 14, 2014, at 6 pm. University of Avignon, Amphitheatre 04.
in the framework of the "Parcours de l'Art" Festival. Presentation of pictures from the collections "Hutsuly-People of the Carpathians", "The Ukrainians-Between East and West"
Book "Skarbek Theatre, 170 years of History"
Ukraine, Koktebel (Crimea) - From September 20, 2013. 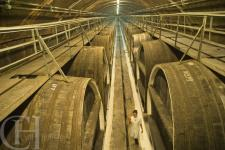 Participation in the project "Wines and Vineyards" (photo and painting). China, Beijing - From May 20 to May 30, 2013. 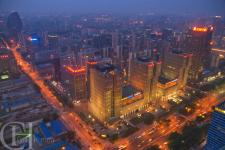 Participation in the project "2013 World Photographers Focusing on Beijing". Perspectives ukrainiennes (France), May 2013. Vysoky Zamok (Ukraine), May 2013. 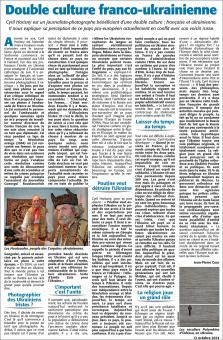 Gazeta Wyborcza (Pologne), October 2012. Ukraine, Lviv. From April 11 to June 1, 2013. In the framework of the "French Spring". France, Paris - June 15, 2012. Poland, Wroclaw. From May 18 to July 18, 2012. "Ukraine - A Land of Traditions"
Poland, Wroclaw. From January 21 to March 4, 2012. Ukraine, Lviv - November 14, 2011. Poland, Wroclaw. From October 3 to October 16, 2011. From July 4 to September 3, 2011. 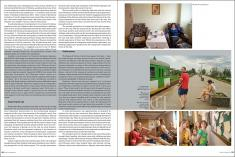 "Hutsuly - People of the Carpathians"
From June 6 to September 6, 2011. Alliance Francaise - 18a, Ohiyenka Street. Italia, Lodi (Lombardy). May 19 2011 at 21:00.
at the "Festival della fotografia etica". in Europe during economic crisis. Poland, Warsaw. From May 23 to June 6, 2011. Belgium, Brussels. From May 25, 2011. France, Dijon. From May 2 to May 15, 2011. Germany, Frankfurt (Oder). From May 1 to May 15, 2011. Sweden, Borås. From Avril 1, 2011. Czech Republic, Ostrava. From March 14 to April 13, 2011. Czech Republic, Brno. From February 24 to March 14, 2011. Czech Republic, Prague. From February 2 to February 21, 2011. Poland, Warsaw. From December 12, 2010. Presentation of pictures from the collections "Hutsuly - People of the Carpathians" & "The Ukrainians - Between East and West"
France, Lille. From March 22 to April 30, 2010. EDHEC Business School - 58, rue du Port. Ukraine, Lviv. From February 1st to February 28, 2010. 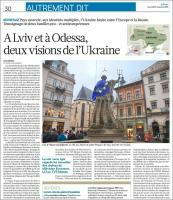 "Lviv - The Little Paris of the East". Ukraine, Kyïv. From October 23 to November 5, 2009. 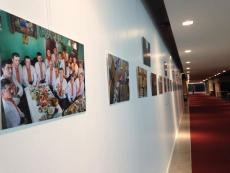 "The Ukrainians - Between East and West"
In the framework of the "Kiev Foto Com" Festival. Germany, Hamburg. From September 18 to October 1, 2009. Ausstellungsraum in der Marktstrasse 102. Presentation of pictures from the collection "Hutsuls - People of the Carpathians"
in the framework of the exhibition "[new]kraine". Spain, Santander. From August 11 to September 1, 2009. "Hutsuls - People of the Carpathians". France, Senlis. From May 8 to May 24, 2009. In the framework of the "Europe Days". Spain, Madrid. From March 10 to June 17, 2009. "Hutsuly - People of the Carpathians". Cultural Center Ignasi Iglésias - Can Fabra. 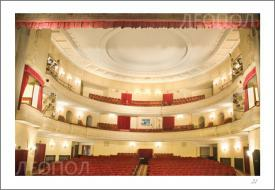 www.kyrylo.com - Selected among the best web sites of Ukrainian photographers. 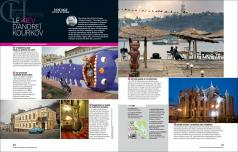 A Selection of Photographs for Interior Decoration. all of them beeing citizens of a young nation under reconstruction. Poland, Suwalki. From July 22 to August 31, 2008. Ukraine, Lviv. From May 2 to May 22, 2008. 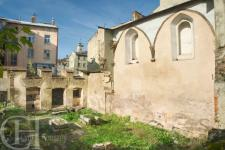 The Ethnographic Museum : "Lviv". In the framework of the "Lviv Days". Ukraine, Vinnytsya. From May 15 to May 30, 2008. Museum of Art : "Hutsuly - People of the Carpathians". In the framework of the "Europe Days in Ukraine". Ukraine, Rivne. From April 15 to April 30, 2008. 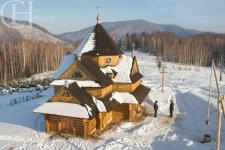 Kupchynsky Gallery : "Hutsuly - People of the Carpathians". In the framework of the "French Spring in Ukraine". Germany, Berlin. From December 20, 2007 to January 15, 2008. Presentation of pictures from the collection "Hutsuly - People of the Carpathians", in the framework of the exhibition "Ukraine-Now". Participation in the Collectives' exhibition "Resistance" - in the framework of the "Visa pour l'Image" Festival of photojournalism. Ukraine, Kyïv. May 15, 2008. 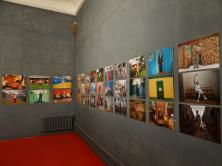 Ya Gallery : "The Young Photography from Lviv"
France, Paris. March 25, 2008. Member of the "Collectif EST" and "OST PHOTO" since 2007. Ukraine, Lviv. From July 26 to August 15, 2007. At the National Museum : "Hutsuly - People of the Carpathians". Canada, Toronto. May 3 to May 21, 2007. 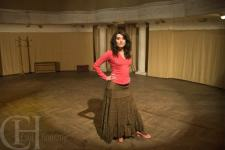 At the KUMF Gallery : "8 photographers, 8 approaches"
Presentation of pictures from the collection "Timeless Ukraine". Poland, Cracow. May 9, 2007. At the F5 Gallery and the Lecture Hall "ImagoMundi" : "Ukraine Now"
Presentation of pictures from the collection "Timeless Ukraine" in the framework of the Month of Photography in Cracow. Sweden, Stockholm. 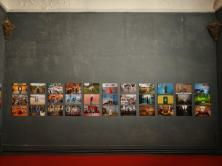 From September 23 to November 12, 2006.
framework of the Photo Festival "Xposeptember". The web site www.kyrylo.com was launched in October 2006. 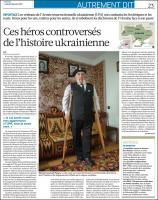 It contains pictures and texts in 3 languages (French, English and Ukrainian). Presenting an overview of the author’s work, the site will be regularly updated. A selection of previous exhibitions, organized before 2007.